East Anglian Chambers is a set of barristers providing expert legal advice and representation to clients in courts and tribunals across the nation. 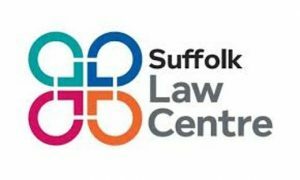 As a team of 40 plus lawyers with extensive experience in a range of legal specialisms and offices in Ipswich, Norwich and Chelmsford we nevertheless assist clients all over the country. Our team members are experts in their fields, and we can help with most situations. A number of our members sit as part-time judges in the courts or tribunals, demonstrating their level of skill and experience in their chosen areas of law. The barristers are supported by a team of dedicated and dynamic clerks who will be your first point of contact, and who ensure that East Anglian Chambers maintains its outstanding reputation and high levels of service and success for clients. We want you to measure us by the excellence of the advice and representation we provide, and the personal nature of the care we take for all our lay and professional clients, whether individuals, businesses, solicitors or other referral professions. Professional, licensed access and/or lay clients (as appropriate) may contact chambers to obtain a quotation for legal services. Quotations must be supplied if sufficient information has been provided by the client and the barrister, or another barrister in chambers, would be willing to undertake the legal services. Quotations (whether by reference to a fixed fee, an hourly rate or a combination of both) will be provided within a reasonable time period, and in clear and readily understandable terms. We welcome all feedback on your experience of doing business with East Anglian Chambers and any suggestions on how we might improve our service. If you have a complaint then please let us know as soon as possible so that we can address your concern. Our complaints procedure can be found by clicking on the Complaints button at the bottom of this page. 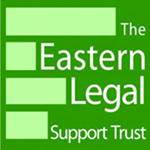 Each year East Anglian Chambers members and staff join with fellow lawyers, judges, charities and legal support staff to raise funds through the Eastern Legal Support Trust to enable legal charities to provide much-needed advice and support for those unfortunate enough to be in need of it. We are also pleased to support the UEA School of Law, Norwich and its Earlham Hall Campaign to expand its facilities and provide a new home for the Law Advice Clinic. If you would like more information on East Anglian Chambers or to speak to one of our barristers please contact us on 01473 214481 to speak to our clerking team, who will be pleased to assist you. I would like to take this opportunity to express my gratitude for all your help and support yesterday. My mum went through a lot, but your presence and involvement helped immensely. ...members are also adept at handling cases involving non-accidental injuries, care proceedings and international matters. Thank you for stepping in at short notice. Not only have you grasped the issues very quickly, you have managed to wade through the trivia and get to the very nub of the matter.